During a 32-hour period May 4-5, the BSW Bloodstock agency of founder Bradley Weisbord and partner Liz Crow had phenomenal success. Horses they manage, or purchased in full or partial interests on behalf of clients, won or placed in 10 graded stakes. 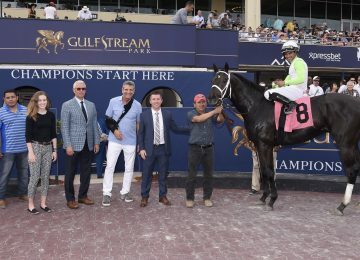 While the graded stakes victories and placings were enjoyed by a variety of BSW clients in partnerships with others, the common denominator on all 10 graded stakes successes was prominent owner Sol Kumin, whose vast racing interests are managed by Weisbord and his team. Highlighting the graded stakes wins was the scintillating Kentucky Derby Presented by Woodford Reserve (G1) victory of undefeated Justify, owned by WinStar Farm, China Horse Club, SF Bloodstock, Starlight Partners, and Kumin’s Head of Plains, a group that also owned Derby third-place finisher Audible. In the Old Forrester Turf Classic (G1T) just prior to the Derby, Yoshida won the 1 1/8-mile turf test for Head of Plains, China Horse Club, and WinStar. At Churchill Downs Friday, Monomoy Girl, purchased by Crow and BSW as a yearling for $100,000 on behalf of Kumin and Michael Dubb, won the Longines Kentucky Oaks (G1) for Kumin’s Monomoy Stables, Dubb, The Elkstone Group of Stuart Grant, and Michael J. Caruso’s Bethlehem Stables. 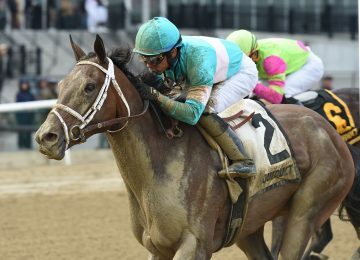 Also that day, the Eight Belles Stakes (G2) was won by Mia Mischief, whose ownership group consists of William and Corrine Heiligbrodt, Scott Heider’s Heider Family Stables, and the Madaket Stables of Kumin and Jason Monteleone. Kumin had quick success upon his entry into the Thoroughbred industry, with champion female turf star Lady Eli among his first top horses. And although others purchase horses on his behalf, he credits much of his current success to BSW. 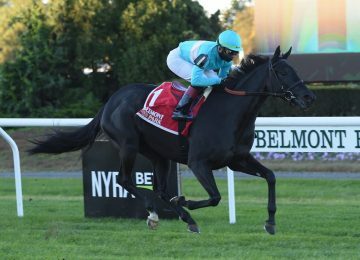 While there are a lot of moving parts to Kumin’s vast ownership interests and partnerships and Weisbord’s representation of the professional money manager, the racing program’s success evolves around a disciplined approach to buying horses at auction or acquiring partial interests in up-and-coming horses on the track. Part of that approach includes aligning with strategic partners such as WinStar, China Horse Club, and having horses with top trainers. “I think and hope we have earned the reputation of being good partners with people,” Kumin said. “Being a good partner means knowing your place. If you are good partner you know when you should be speaking and know when you should take a back seat. It makes it easier to do deals because people want to be your partner. 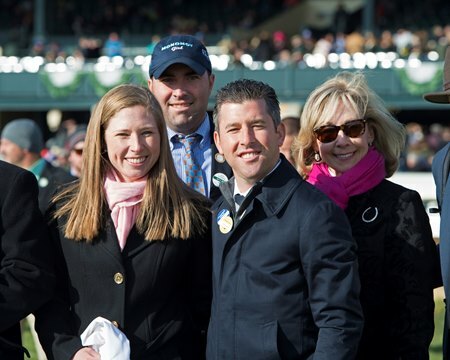 Certainly having the financial backing of a client like Kumin is vital to Weisbord’s ability to represent him when it comes to buying into a horse like Justify, but there is more to it than just being able to put up the money, Weisbord said. “Identifying the right horse is a key element here, and it can’t be underappreciated,” Weisbord continued. “That’s attributable to training with tremendous trainers and having like-minded owners that kind of all see the same way. We don’t all agree on the exact race. Obviously Justify is an easy horse to manage. But there are other horses in the partnerships in which not everybody has the same exact plan. When you train with top trainers and you have people like (WinStar president) Elliott Walden or other managers for other owners it makes it fairly easy. We have never had a big blow up with anybody, but that is not easy because partnerships are like marriages there are a lot of blowups. “There is a three-part facet in making a deal,” said Weisbord, who has quickly taken BSW to the upper echelon of the industry since establishing the agency four years ago. 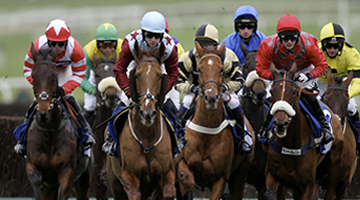 “Clearly, the first is identifying the right horses. Yeah, we have ones that don’t work out, but right now around 58% of our private purchases over the last three years have gone on to finish one, two, or three in a stakes race. With hundreds of horses in the BSW portfolio, horses managed by the agency have won an impressive 23 stakes during 2018. Weisbord, who was associated with winners of other classic races in his previous positions, said winning the Derby filled a gap in his resume. “(That was) the only race that has eluded me, so it was relieving from the point that I finally won a Derby,” he said.